AS Uber has recently launched its nuptial transport service in 12 Indian cities in order to cash in on the US$15 billion dollar local wedding market, transport-hailing app Ola has been pulling out all the stops trying to keep its arch rival at bay – but it hasn’t been looking good. While India’s congested roads and long commute times certainly makes a stacked in-car entertainment system for passengers seem attractive, many netizens appear to be dubious. Plus, Uber apparently already has a similar system which allows passengers to listen to their playlist via popular music streaming platforms. Besides introducing shiny new gadgets to its cars, Ola looks to add fresh funding to its war chest to take on Uber – but it’s also not having an easy time with that either. Back in September 2015, Ola raised US$500m at a valuation of US$5 billion, but it’s value has dropped significantly since then. The latest round that Ola is raising would value it at US$3 billion, 40 percent lower than it was a year ago. Uber seems to be outgunning Ola in India's cities, although a clear win might take more time. After landing in India, I've taken 26 Uber rides and 3 Ola rides. Not one Uber driver had to crib about anything. But all 3 Ola drivers did! If it manages to close the deal, Ola would be the first unicorn in India to raise a “down round,” which is when a startup accepts funds at a lower valuation than it previously had. Many say that down rounds are a drag on a billion-dollar company’s momentum while making it hard to retain talent. Basically, a down round is a sign that a unicorn company is wounded. Still, WIRED reports that a down round can be a “buzzkill” but isn’t a surefire sign that a company is going under. It predicts that the tech sector is “undergoing a correction” which will cause many important companies to also raise down rounds. It notes that “on average, private tech companies are 30-50 percent less valuable than they were last year at this time”. SEE ALSO: How is India dealing with PM Modi’s demonetization move? There’s hope for Ola yet, as its existing investor SoftBank apparently plans on reinvesting and it still has the upper hand in the Indian market for now. 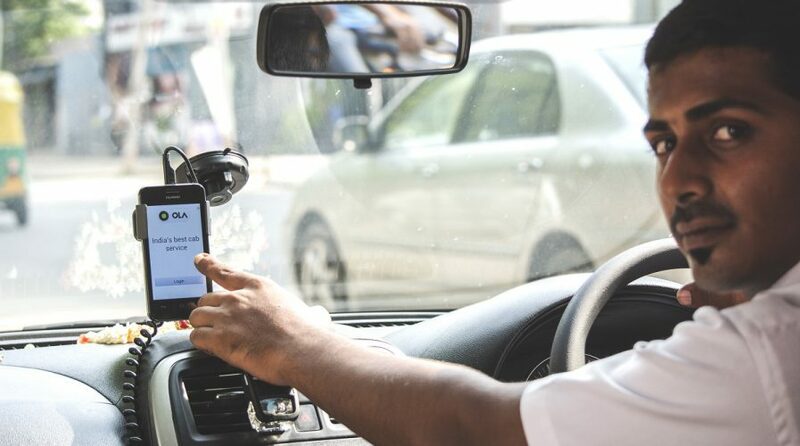 But Uber’s increasingly aggressive expansion is making investors concerned, which will affect the growth of many local players in the transport-hailing space.